Dermot Gallagher reviews controversial decisions in the Premier League after each round of games, on behalf of Sky Sports, and has given his call on a Newcastle v Tottenham match incident. I thought he might have had a look at the Moussa Sissoko stamp on Kenedy that has gone unpunished. However, he has ignored that and decided to examine something completely different and give his verdict on this. The match was only eight minutes old when an incident crucially impacted on the match. Tottenham’s Jan Vertonghen heading towards goal and it hitting the bar before Martin Dubravka then cleared. However, Newcastle fans were then stunned to see a goal instantly given by referee Martin Atkinson. Dermot Gallagher indicates that this is a goal which in the past would almost certainly not have been given. Hopefully Newcastle will be the beneficiaries of one or two of these this season to help even it up. “In the eighth minute, Jan Vertonghen headed towards goal, with the ball hitting the underside of the crossbar before going over line although goalkeeper Martin Dubravka scoops it out just after. 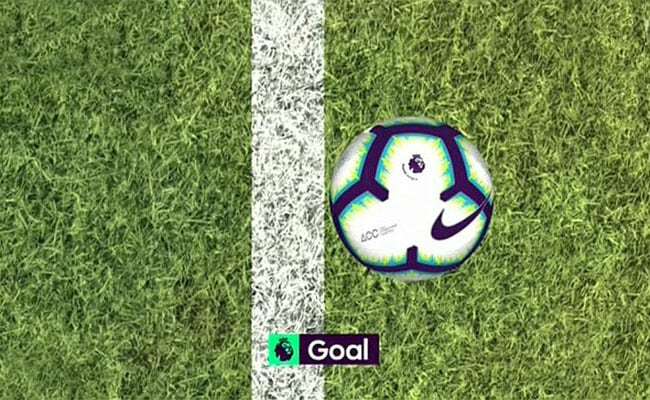 “I think over the years, everyone has embraced goal-line technology and said how good it has been, but this, beyond doubt, proves how good it is. “That ball is in the air and there is no way any referee or assistant can give that – it’s impossible. “It’s 9mm over – a third of an inch – it’s in the air and what would happen is one team would feel aggrieved if it’s given, the other would feel elated and the team that feels aggrieved would be on the referee’s back for the next 80 minutes because they would never believe them. “I remember Johnny Heitinga’s at Fulham that I thought was close but that beats it.